« Aleyos, Santeros and Babalawos – oh my! Does your spiritual lineage work with Ifá or is it an Ocha house? (Ocha is a Spanish contraction of Orisha) This is a common question you’ll hear among santeros and it is a topic of great debate. There seem to be two major ways of working the religion of Santeria: spiritual lineages who work with Ifá and Babalawos, and those who don’t. Both are legitimate and valid practices but what is the difference, and why does this disparity exist in Santeria? Ifá is the name of the sect of Orunmila within Santeria. Orunmila (also spelled Orunla or Orula) is the orisha of divination who knows how our fate will unfold. Some practitioners also call Orunmila by the name Ifá. The reason I specifically call out Ifá as a separate sect is because the ritual functions within the Ifá sect can only be accomplished by priests of Orunmila – called Babalawos (or Oluwos if they were orisha priests prior to passing to Ifá – which many are). Only Babalawos can give the Eshu that is received in Ifá. Only Babalawos can give the Idé of Orunmila (bracelet of Orunmila), which is always worn and keeps the spirit of Ikú (death) at bay. Only Babalawos can divine with the okuelé (diviner’s chain) and the ikín (palm nuts) – and these are the ONLY divination tools used in Ifá. 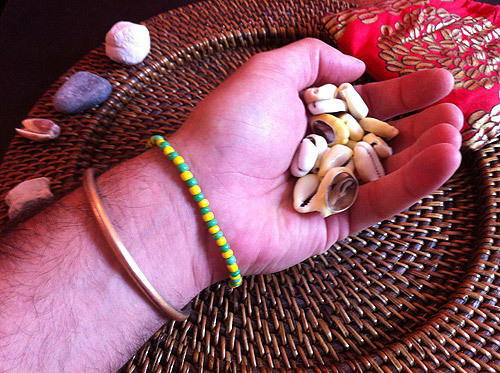 Only Babalawos can give Kofá or Awofakán (Mano de Orula), giving a smaller shrine of Orunmila for people to have in their home (note this is not a consecration as a priest of Orunmila – it is a reception of his mysteries into your life for balance and to learn one’s destiny). Only Babalawos can consecrate other Babalawos as priests. A Santero or Santera cannot do these things. But the inverse is also true. A Babalawo cannot do many of the things a Santero or Santera can. They cannot give addimú orishas (token Orishas) to others except for the Warriors (Eshu, Ogun, Ochosi, Osun), Osain, Olokun and Oduduwa – and even then they can only give the Ifá style ones that can never be passed on by that individual (unless they become a Babalawo in time). They do not read diloggún (cowrie shells) – they stick only to the use of the diviner’s chain and palm nuts. There is a pataki (legend) that Orunmila surrendered the cowries to Oshun and the orishas to use after she mastered the skill simply by watching him – and he swore that he would create a new system only for men, and only for his priests; that was the okuelé and ikin. 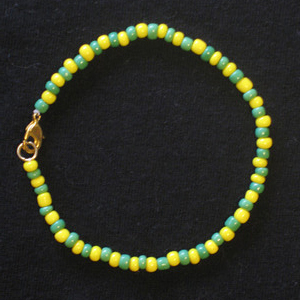 Babalawos cannot give the initiation of Elekes (necklaces) – but they can give Orunmila’s eleke to people. They cannot initiate people in the Kariocha ceremony to be priests of other Orishas. They can perform sacrificial rights, or entrance readings leading in to a kariocha but they cannot be in the sacred room when the initiation is taking place. They do not birth orishas. So in many ways, the Ifá sect is a subdivision of Santería. A cloistered sect of diviners with membership limited to heterosexual men, who dedicate their lives to the mastery of divination, the science of Ifá and the knowledge of Odu. Babalawos are not the high priests of our religion. That is a misnomer perpetuated in many of the early books on Santeria written by outsiders to our faith. They are the masterful diviners in our religion who focus solely on the function of Ifá. Many of the spiritual lineages, or “houses”, that work with Ifá will regularly go to Babalawos or include them in their ritual functions. Babalawos are consulted when determining the tutelary Orisha of an individual. In this ritual, three Babalawos (minimum) gather together and use the ikin (palm nuts) and the Opón Ifá (table of Ifá) to determine that person’s tutelary Orisha. This is often done when a person received their Kofá or Awofakán (mano de Orula, hand of Orunmila). Ifá believes that only a Babalawo can determine a person’s tutelary Orisha because Orunmila witnessed destiny unfold. (Orisha priests will argue this point and explain that it was Orunmila and Elegguá who witnessed fate together and that Elegguá actually preceded Orunmila, so Elegguá can also tell us who a person’s tutelary orisha is.) Houses that work with Ifá will also employ Babalawos to perform sacrificial rites during ceremonies, and they will have Babalawos perform the entrance reading and the Ebó Até (cleansing at the mat) during a person’s life reading. A person becomes a Babalawo when they are told they have a destiny in the sect of Ifá through divination. This can be through the life reading when receiving Awofakán, or it can be through a life reading received after their Kariocha. Not everyone can become a Babalawo. Women and gay men are strictly prohibited from being initiated as Babalawos in Santería Lucumi (Lukumí). Some individuals go from being an Aborisha directly into the sect of Ifá as a priest of Orunmila. Most others end up being initiated as an Olorisha to their tutelary orisha (Elegguá, Ogún, Oshun, Yemaya, etc.) and then later in life “pass to Ifá” and become ordained as a priest of Orunmila (Babalawo). These individuals are called Oluwos (Oluos). The moment they pass to Ifá they no longer function as an Olorisha and can no longer participate in the rituals that an Olorisha officiates (elekes, warriors of ocha, kariocha, etc.). They dedicate their lives to the sect of Ifá and the ritual functions to which they are limited. Many spiritual lineages, or “houses”, do not work with Ifá at all. In these houses the Obá Oriaté will officiate all ceremonies. The Oriaté is an orisha priest who has been specially consecrated due to his knowledge of divination and all of our ceremonial rituals, to officiate rituals in the sacred room (igbodú). Since the Oriaté is a Santero or Santera, he/she can do much more for an orisha initiate than a Babalawo can – but he cannot perform the special functions that are restricted to Ifá. An Oriate can determine the tutelary Orisha of an individual (actually any orisha priest can, provided he or she is a skilled diviner). This is performed either using the cowrie shells of the godparent’s tutelary orisha, or with the diloggun of Eleggua (because Elegguá witnessed all destiny and knows everything taking place – and is truly neutral). Houses that do not work with Ifá argue that Olorishas are the only ones who should truly determine a person’s tutelary orisha because they actually birth orishas and crown people as priests, where Ifá does not. (Personally I do not think this is a determining factor because you can cite the impartiality of Ifá as an equally valid reason to let Babalawos do this.) In non-Ifá houses, the Oriaté performs sacrificial rites (so can any individual who has received Pinaldo – the sacred knife), the Oriaté does the entrance readings prior to Kariocha and the Ebó Até (cleansing at the mat) during a person’s life reading. The Oriaté officiates the kariocha ceremony where a priest is initiated. Oriatés can birth and give addimú orishas (token orishas) or any other function in the religion. They are the Orisha High Priests. Why the Division? Where Did This Originate? The separation between Ifá and Ocha lineages has historical roots. When the slave trade of the Yoruba began, the spiritual practices of the Yoruban tribes were just starting to solidify into one religion. As millions of Yoruba people, especially Olorishas, were sold into slavery, the Yoruba populace was divided by the vast expanse of the Atlantic Ocean. The religion continued to evolve back in Africa, and evolved differently here in the Americas. This accounts for this disparity between the two religions and explains why Yoruba Traditional Religion has commonalities with, but cannot be compared directly to Lucumi/Lukumí Religion. The followers of Ifá in Africa were relatively untouched by the slave trade, and the sect of Ifá in Africa grew in prominence and ritual function. In Traditional Yoruba Religion, Ifá is deeply intertwined with Orisha worship and plays a different role than in Lukumí. The followers of Ifá, as a population, were the last group taken in slavery and brought to Cuba. In Cuba, as Santeria Lucumi started to take form, there was a marked absence of Babalawos and the Ifá sect. The style of initiation performed in the Yoruba city of Oyo became the most prominent style of initiation in Santeria. This initiation includes the reception of the “four pillar” orishas of Santeria regardless of that person’s tutelary orisha: Obatala, Oshun, Yemaya and Chango. The Obá Oriaté functioned as the master of ceremonies in all rituals. Women were the strongest leaders in Santeria and every lineage will honor mighty women in their Moyuba prayer. Santeria Lucumi unified in practice and purpose in the late 1800’s. There is historical evidence that by 1860, Lucumi people were performing ordinations to priesthood. Santeria, without the influence of Ifá, was functioning strongly in Cuba up until the early 1900’s. In the early 1900’s, women who were once the strongest and most powerful leaders in Santeria, began losing prominence as the Babalawos and sect of Ifá rose in power. In the sect of Ifá, when a Babalawo marries a woman Olorisha, she becomes an Apetebí Aya Ifá (slave of Ifá) and is forbidden from performing diloggun divination. Divination becomes the sole domain of the Babalawo in that house, and women are subjugated. Many of the most powerful women in Santeria were getting married to Babalawos because of the status associated with the position, but in the process, women lost power in Santeria. Babalawos became the master of ceremonies in those houses, and thus began the difference between spiritual lineages that work with Ifá versus those that are Ocha-centric. The office of Oriaté, once traditionally held by the most influential women in our religion, became dominated by men. To date there are two, perhaps three, female Oriatés left in the United States, and a few more in Cuba. In modern times, most Apetebís know very little about Ocha, and mainly defer to their husbands about knowledge of Ifá. Therefore, the lineages that do work with Ifá typically introduced this sect into their Santeria practice through marriages in the past. A female Olorisha likely married a Babalawo and he began divining for everyone and running the show. Lineages that don’t have Ifá strongly involved in their practice likely never experienced this phenomenon. Both are traditional practices according to the culture bearers of the religion of Santeria. In spite of the division between Ifá and Ocha-centric lineages, everyone will eventually come to Ifá for some need. Some go to Babalawos to get their Kofa or Awofakán (Mano de Orula, Hand of Orula) and that’s it. Others come for an occasional reading from time to time, or to receive the Idé of Orunmila (bracelet of Orunmila that keeps death at bay). Some will visit Babalawos when facing a very difficult spiritual obstacle to employ the tools of Ifá to break through it. While it is not required to participate with Ifá, at some point everyone will come to the foot of Ifá for assistance. For this reason alone, regardless of the divisions between us, we should all respect Orunmila and his special sect of diviners, the Babalawos. I have not been forbidden to divine with cowrie, even though my husband is a babalawo. However, I may not do it when he is in the house. That’s an interesting variation on tradition, Oyalenu. Essentially you defer to him when he’s around, but if he’s away you can divine. I like that you get to retain your ability to divine in spite of being an Apetebí. Thanks for adding your experience to the discussion. I too, and my eldest sister, are both Apetebi Ayafa and no one has forbidden us to divine with cowries. My husband and I learn from each other and work together as a team. If he is around, he reads. if he is not around, I read. My husband loves that I have knowledge of the dillogun and of Odu. Simply because even when he is “running the show” as Dr E. calls it, LOL, and is reading with his opele or ikin…. he still very much values my input and the advices that I can give from a “womb”-man’s pespective, since odu is a female entity after all. We work as a full blown team. He does not read if I am not present, especially if the person receiving the divination is a woman or a child. Unfortunately in some houses, Babalawo wives are subjugated to the “barefoot in the kitchen” treatment, but in many more houses… this is just simply not the case. Glad I could contribute positively to this discussion. Thank you for another interesting article! i met and befriended a noteworthy younger lady social worker downtown herein T.O. in the GLBT district we both network and career score with our peer s whom come from , like our elders in REGLA DE OCHA from both sides of the fence ; so to speak figuratively . She has nothing by way of IFA , and i on the other hand have both Osha stuff n such and hermannatos prepared by Babalawo . Its been really interesting how we keep each other sharp !!!! And we b oth do realise that we both have things to learn and to teach n show n tell each other bout how it all comes together in the big picture…….like a four square diamond odu ifa is…..and one has to be in possession of ThAt orisa ,one is working with in order to do it to it. ITs like trying to learn how to be a C H E F online only !!!! The real work isnt just the theory……its the practice……not grasping at straws or picking tarot cards and debating matters of opinion cause IFA is a Science not just divination , and SHE has stressed to me that too many ask ORISHAS for things without consulting their COWRIES ! AND hence some problems lead to IFA and only ifa can solve it! Even if all roads lead to rome!!!!! This is what ive learned from speaking with her for the last few years !!! I would have liked to leave this comment on the page where you list your services, but there is no comment box there, so I will leave it here in the next-most-relevant area. I would like to commend this organization on a very nice job putting together all the information here. As a babalawo myself, let me say that I completely respect houses such as yours that do things without a babalawo. However, just as Lukumi babalawos do not perform Kariocha, give elekes, or any of the other things that we defer to Orisha priests, I believe the same babalawos deserve the same respect. I am referring specifically to Orisha Osun (Ozun, not to be confused with Oshun). I notice you in your services page state that you give warriors via Ocha (many Orisha priests will say that only babalawos give warriors, but I have no problem with it and see it as totally valid)…yet I do have a problem with Orisha priests given out Orisha Ozun/Osun. This is an Orisha that belongs strictly to Ifa, and there are numerous Odu that state this to be a fact (Ika Roso, Irete Lazo, etc). In fact, in Africa to this day, the only people that are even allowed to receive Osun are babalawos. Odu is very clear on this and it is not something open to interpretation. Every “tratado” (ritual manual) of Osun clearly states that only babalawos give this, including a tratado de Osun compiled by Ernesto Valdes Jane, a very prolific and elder Cuban Obatala priest, anthropologist and university professor (not a babalawo). There are some Orishas that only Olorishas give (all the “main” ones: Obatala, Yemaya, Oshun, Shango, etc etc etc), there are some Orishas that can be given by either Ocha or Ifa and both ways are completely correct and valid, Olokun for example (I myself only have Olokun from Ocha and I love it, totally effective) , but there are initiations that only babalawos give, for example Osain, Orun, Olofin, Anya (the ritual drum), and Orisha Ozun. With all respect, I greatly urge the founders of this church to study some of the history and odu behind this Orisha, and recognize that this is something that is only prepared by a babalawo. One simple reason (among many others, Odu being the most important) is that the spiritual charge (the ingredients inside the Orisha) are not complete and activated without the addition of iyefa (the yellow powder that goes on an Ifa board during divination) that has been prayed with 6 Ifa signs sacred to Ozun, prayed on the board by a babalawo. Every time a babalawo gives Ozun, he sits at the Ifa board, marks these six sacred signs (I already gave away two above), and recites the prayers of these signs into this powder. This is the most important ingredient in what goes inside, and obviously it can only be prepared by a babalawo. So again, I don’t mean any disrespect, I am a priest of Obatala as well as a priest of Orunmila, I come from a house where Ocha and Ifa work hand in hand equally, and I very much like your website and your organization, but this is simply not theologically founded. Lastly I would also like to point out the above statement: “The moment they (babalawos) pass to Ifá they no longer function as an Olorisha and can no longer participate in the rituals that an Olorisha officiates” this is simply not true. It would be correct to say that the moment I pass to Ifa I no longer give initiations that Olorishas give, but to say that Oluwos do not participate in a very large percentage of Kariocha’s is not accurate. In Ifa-Ocha houses, as opposed to Anti-Ifa houses, babalawos conduct the ebbo de entrada, they remove the curse (shepe) from the herbs, they present the blade to the Oriate so he or she can shave the head, and babalawos perform the ritual killing as is mandated by Odu Osa Meyi and Oguna Kete. Some people exclude babalawos who did not perform Kariocha from the Kariocha igbodu, and they are in their right to, but no one has the right to exclude a babalawo with Ocha in his head from participating in the afforementioned functions. There are a couple of other things worth pointing out (having to do specifically with some historical figures posited here), but it may be better to leave these subjects alone for now. So again, with total respect, I think if babalawos are to continue not doing things such as Kariocha to people (even though in Africa babalawos who initiated in Ocha can and do perform Kariocha to people), then Orisha priests should similarly not give out the Orisha who’s praise name is “the support staff of Orunmila”. I wish you all the best, love, peace, ati gbogbo ire. Thank you for your response Leo. You are highlighting the differences between Ifa-centric houses and Ocha-centric houses. Ocha centric houses can and do give out the orisha Osun. It is made a bit differently than the one made by Babalawos. It does not have the same components – just like other orishas made by Babalawos do not have the same components as those made by Olorishas. The main difference to be noted is that if that initiate goes on to be an Olorisha, he can give the Osun that was given to him by his godparent, where as the one given by a Babalawo cannot be given. Perhaps this points further to the divisions between the two types of lineages. Osun was being given and received in Cuba long before Babalawos ever arrived at the island. I do not deny that the points you bring up are valid, but the same points can be brought up regarding orishas that Babalawos now claim exclusivity over including Olokun and Oduduwa both of which have historical origins with Olorishas giving them to Babalawos. The way we resolve this at the Santeria Church of the Orishas is that we have people defer to the manner in which their orisha branch of house (ilé) operates. If you come from an Ocha-centric house then you receive warriors from an Olorisha including Osun. If you come from an Ifa-centric house, then you receive warriors from a Babalawo including Osun, HOWEVER, that Eshu, Ogun and Ochosi received in your warriors from Ifa must never go to the initiate’s head at kariocha, for they are the sole domain of Ifá. A separate Elegguá, Ogun and Ochosi must be consecrated for the iyawó in his kariocha and those go to the initiate’s head for they are the domain of Ocha. Furthermore regarding the exclusion of Babalawos from participating in Igbodu, the Babalawo can do the entrace reading, the ebó até and the matanzas (sacrifice) but for the remainder of the functions he is not to be in the igbodu. The reason for this is that once a priest passes to Ifá he abandons the worship of his tutelary orisha for that of Ifá and he no longer has osun of his orisha on his head to function as a priest. If an Obá Oriate tells a babalawo to leave the igbodú, he has the right to do that, and the babalawo has no authority to remain for the Obá Oriate is the representative of Changó in the religion and in the Igbodú and he reigns supreme over our religion on earth as decreed by Obatalá himself. Your mileage may vary in an Ifá centric house, but aside from being a spectator, a babalawo can’t do much during the kariocha ceremony itself (aside from the previously mentioned functions). Diloggún divination is solely available to Olorishas – crowned priests of the orishas. Babalawos cannot perform diloggún divination, nor can anyone uninitiated as a priest in our religion. The piece you are missing is that the diloggun is a consecrated and enlivened part of the orishas’ shrines. You don’t just grab 18 cowries and start throwing them. They are ritually prepared through a highly complicated ritual full of sacred songs that takes several hours, and they are enlivened through animal sacrifice. Without these things you don’t have diloggún. Without real consecrated diloggún you aren’t divining anything. Without the proper initiation as an Olorisha you don’t have the right to throw diloggún. Now if you want to buy a book about diloggún divination for the purpose of education and seeing how the system works, I recommend Ocha’ni Lele’s Diloggún book over Wippler’s book. Migene Gonzalez Wippler was never an initiated priestess on Santería Lukumí and has no authority to speak on the topic. Best of luck to you William! Thank you so much for your help. I will certainly go slower and study more indepth the Santerian tradition. Just remember, William, that practicing and learning Santería is done side-by-side with a godparent, not online, and not through books. I recommend you find a reputable godparent and start learning from them so that you can get hands-on training. Best of luck to you and may the orishas bless you always. Can you give a historic basis for Olorishas giving Osun? You calaim that they were given before babalawos came to Cuba. Do you have valid documented sources for this? Also, your claim that babalawos cannot enter igbodu… can you give documentation for this as well. The reason I ask for evidence is that it flies in the face of every documented source to come out of Cuba. For instance you obviously have taken some of your assertions from David Brown’s book and Willie Ramos’ papers, but neither one of them go nearly as far as you in your claims. In fact, parts of Brown’s tomb directly contradicts your argument that babalawos cannot present in igbodu if they have Ocha made. Also, are you aware that the babalawo Tata Gaitán didn’t have Ocha made, yet no one dared prohibit him from an igbodu. You might also want to take a peek at the origin of the term igbodu itself. You might find it enlightening. Olorishas have given Osun and continue to give them. In fact, even if an aborisha received warriors from Ifá they still have to re-receive them from an Olorisha if they go on to kariocha. As for babalawos in the igbodú. If the babalawo is an Oluwo – meaning that he has gone through kariocha, finished his iyaworaje, received the igbodu THEN passed to Ifá, he could enter the igbodú and witness what is taking place but he can’t touch the iyawó at all. As you well know, when someone passes to Ifá they leave the worship of their tutelary orisha behind and devote themselves in entirety to Orunmila, both ritually, and with what is done to their heads in their ceremony. They truly have no required role in the igbodu when kariocha is taking place, and every oriate I know of will ask them to leave once the ceremony has commenced. That being said, there are some houses that work with Ifá that will allow the oluwo to come into the room and bless the razor before it is used in that particular part of the ceremony, but again, they cannot touch the iyawo or participate in the kariocha in any significant way. Simply put – ocha is ocha, Ifá is Ifá and they do not intermix with one another ritually speaking within Lukumí practice. And just because rules were broken in the past does not mean that practice was permissible or traditional. Attempting to ask for documented proof is a silly request because you and I both know Santeria has very little documented history. The history of our people is preserved in oral traditions and ritual structure that is passed from priest to priest through hands-on apprenticeship. I agree with you that not all become diviners of great skill, but my greater assertion was to dispel the common mistake that they are high priests of our religion and that they are able to do things that Olorishas can. This is a grave mistake. While they do have specialties and certain things that Olorishas cannot do – like a parado, etc. There are many that are starting to posture themselves as Oriate-like priests with the ability to crown others and give orishas with cowries, which within Lukumí is strictly not allowed. And you may be pleased to know that Ocha is not a Spanish contraction. It is indeed Yoruba and can be found at least in some of the older Yoruba dictionaries where it is sometimes spelled oosa (with the ‘.’ under the s to denote the ‘sh’ sound). In some of my more recent dictionaries, like the Oxford Press copy of the 1937 dictionary, only lists the contraction under babalosa and iyalosa (again with the ‘.’ under the s). I don’t have any of the really modern dictionaries, so I don’t know if they can be found in them. I find the older ones are more help when I need to translate Lucumi words. I often have to make allowances for what I take to be Benin area influences on the language as well. Also, there is little chance the receiving of several Orishas during the kariocha came from Oyo or anywhere else but Cuba. But it was likely a necessary or at least useful change. Anyway, it’s they way we do things now and that is not likely to change. Brown’s book is mostly accurate regarding this innovation. Hope that helps. i am currently in love with a babalawo but my padrino is telling me that i cannot be with him because him and i are children of yemaya is this true? i have just come back from cuba, ernesto valdes jane and his tratados are science fiction. the guy wears an ide orunmila and has no clue about anything. he spoke badly about candomble and the traditional yoruba religion, making ethnocentric remarks about ocha/ifa being the ´´preserved´´, homophobic comments, and asked his babalawo in front of me what exactly it means when one speaks about orunmila. the babalawo replied that orunmila is an orisha, and ernesto did not know this! please be careful with who you quote, because seriously, this guy steals other peoples´ work and publishes it as if it was his, and has little knowledge in orisha and ifa. he was cocky enough to say that cuban babalwo trained yoruba babalawo and taught them how to give the hand of ifa. yeah right, star wars material! he has never been to brazil or to nigeria, yet he speaks negatively about these places. I have just come across this site and must thank you for your information and guidance. I am a practicing espiritista for many years and have been initiated with ellekes, have received the guerreros through a Babalawao and an ellegua(alayiki) from a santero, I also have received Olokun, My tutelary orisha is Ochun, I am trying to prepare for Ocha, but as this point, I do not have a padrino o madrina. I had an experierence with one person for about 7 yrs,,,but they were not the person who was going to crown my head. I work with a Babaloaw and have had many readings and have offered adimus and have much love and respect for Olofi and the orishas. They have been good to me. I am anxiously awaiting for destiny to place the right padrino or madrina in my path, I trust my egguns will assist and como dicen,”La cabesa busca su casa”. I’m 56 yrs old, and have been around the religion for over 15 yrs. In a way, I’m glad that I didn’t rush in because I have learned many lessons and have observed what is practiced with love and respect. Not easy to pull the wool over my eyes. The time is approaching for me to crown Oshun and I”m making many affirmations for the right house and godparent, Any words of advice?